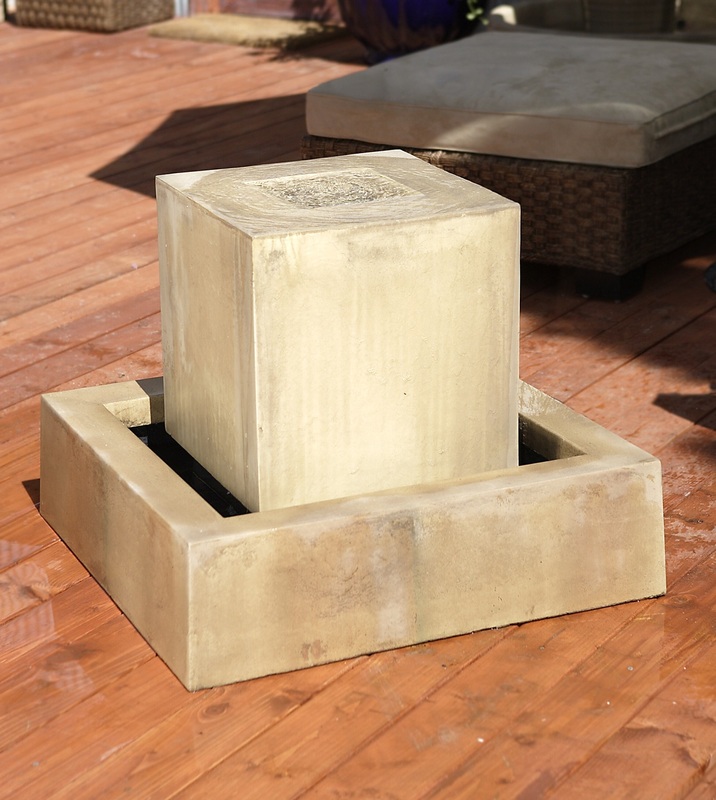 Our Flourish Fountain has a modern architectural design that will make a dramatic statement in any landscape design on your deck, patio, or even an entryway. 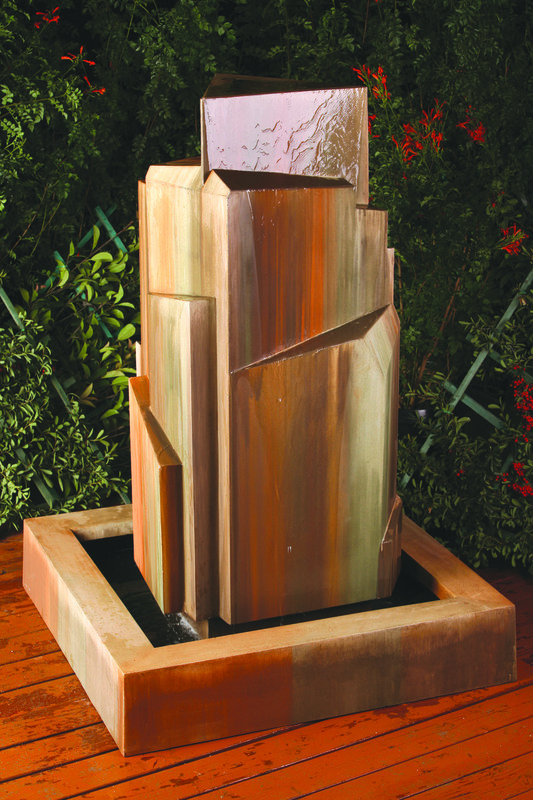 Water cascades over the top and finds it's way over the various angles until it pools at the bottom. L 43" W 43" H 62" | 315 lbs.